Erebus Motorsport says its full focus is on consistently being the top Holden team amid a fast start from the Ford Mustang squads. The Melbourne outfit was a regular contender for podiums and wins last season on its way to fourth in the teams’ standings behind Triple Eight, Shell V-Power Racing, and Tickford Racing. After the opening two rounds of the season, the team sits sixth, and third of the Holden operations behind Brad Jones Racing, with its lead driver David Reynolds finishing all six races inside the top 10, recording a best result of fourth. At this point last year, Reynolds had already visited the podium twice including a win at Albert Park. The arrival of the Ford Mustang has shaken up the order with 12 of the 18 podium places to date being taken by blue oval drivers. Erebus CEO Barry Ryan believes that there is not a lot more his team can do to close the gap to Fords and is just worrying about being the top Holden squad. “There’s not a lot more we could do,” Ryan told Speedcafe.com. “If we could maximise our cars more, we would have done it already, but we’ve just got to keep on our program and make sure we keep improving our car, and we can’t control that (Mustang); we’ll just let the officials do that if there’s something to be done. “Relative to the Commodores, I think we’re probably at about the same level, I think maybe BJR have taken a bit of a step, but there’s no other team that was the same as us or as good as us apart from Triple Eight and that was the same as at the end of last year. “They were probably a little bit better than us, we had a really good Newcastle but it’s just some blue cars now that are just a little bit better than the red cars, so we’re just trying to make sure that until we can constantly beat the red cars, that’s all we can worry about. 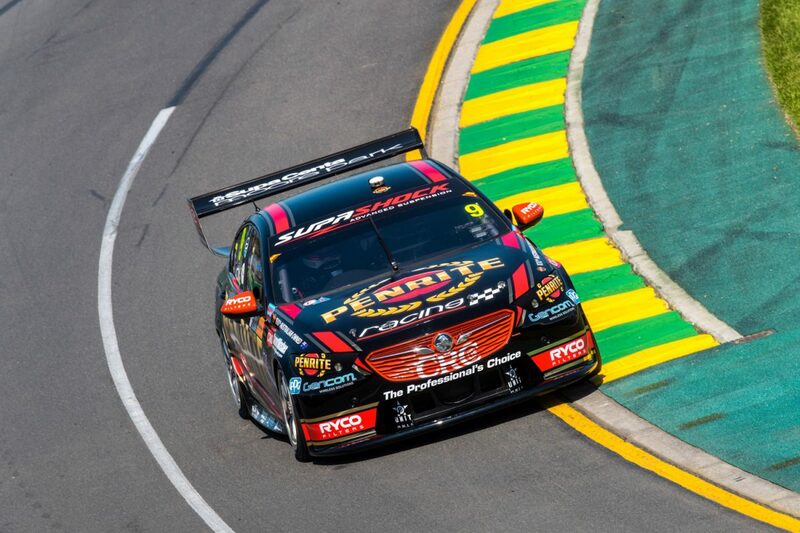 Ryan admitted that team struggled to find the right balance with its ZB Commodores for Reynolds and Anton De Pasquale at Albert Park, but remains confident his team will soon find the sweet spot with set-up. “Anton (De Pasquale) did a good job (last) weekend but he’s still learning so he’s actually helping a lot and he’s pushing Dave (Reynolds) and all that stuff’s working well, but it’s just a balance thing,” he added. The squad will return to action at the Tyrepower Tasmania SuperSprint from April 5-7.